Free yourself from maintenance work – our full-stack service coordinates everything for you. Never take late night calls again. Our 24/7 support team handles your resident’s maintenance issues and emergencies. We coordinate and communicate with the renter, owner, and vendor for nearly all maintenance scenarios. Rely on our professional vendors. Our vendors are licensed, bonded, and insured. They also give free estimates and a 30-day warranty. We offer owners the flexibility to bring in their preferred handymen or maintenance vendors. So long as your vendors are licensed and insured, our team is happy to coordinate with them for most maintenance issues. Keep track of all work. Choose your desired course of action for maintenance requests with the touch of a button at the Owner Dashboard. You can also view historical record of all invoices for completed work. Onerent’s scale allows us to work with larger-scale facilities groups and drive reasonable, consistent pricing. We do not charge markups on maintenance invoices and hold no reserves (learn more about maintenance terms and conditions in the Owner Handbook). 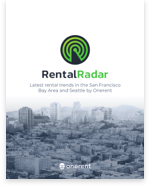 Tenants submit concerns and maintenance requests through Onerent rental dashboard. Onerent maintenance team gather necessary information about ongoing issue from residents. Provide troubleshooting via phone, and email with helpful how-to-troubleshoot videos. Owners can choose a Onerent preferred vendor or provide a vendor of their choice. Owners receive updates through their dashboard. Onerent fronts the cost if total invoice exceeds $1500; otherwise owners shoulder the maintenance fee. In case Onerent fronts the cost, maintenance fee will be deducted from the next month’s rent disbursement to owner. Repair and maintenance services are provided under our Full-Service Management Package only.